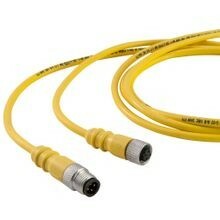 Remke Micro-Link Molded Connectors & Cordsets Withstand Harsh Conditions. Micro-Link™ Molded Cable Connectors and Cordsets by Remke create more reliable connections. 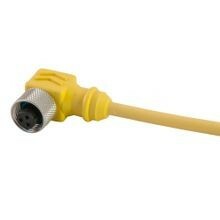 Remke Micro-Link connectors feature dozens of options to create reliable electrical connections in any environment. PVC, PUR, TPE and Rubber protect the connector, which is factory molded to the cable for extra durability. Single-Key M12 connectors in many configurations and materials. Dual-Key Micro-Link Connectors, receptacles and more. Splitters and Wire Management Accessories too. They are NEMA 6P and IP 67 Rated for compliant environmental protection in extreme elements. Rugged, Remke Micro-Link Molded Cable Connectors and cord sets are rated IP 67 and NEMA 6P for superior moisture resistance. 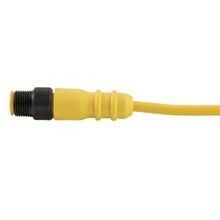 They offer fast, easy replacement of 12mm to 18mm sensors, switches and control components. 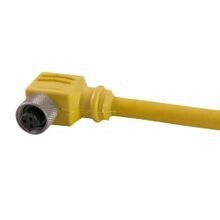 Get the job done right the first time with durable connectors that are molded to the cable in the factory, and mechanically keyed to eliminate mis-mating. 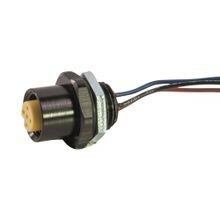 Micro-Link connectors are designed for low amperage AC or DC control systems and are compatible with the pin configurations used by major U.S. and European sensor manufacturers. 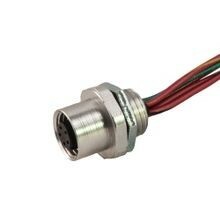 Typical applications for Micro-Link molded connectors include automotive assembly, sensors on conveyors, pick & place robots, packaging machinery, automated machinery and material handling equipment. 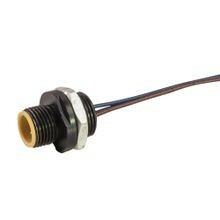 Products typically used with micro-link connectors include proximity sensors, limit switches, photoelectric switches, solenoids and hydraulic/pneumatic valves. Remke Engineered Solutions is entirely focused on meeting the needs of a single customer. Our Job #1 is to develop application-specific, custom Micro-Link connectors and cordsets that meet precise specifications.